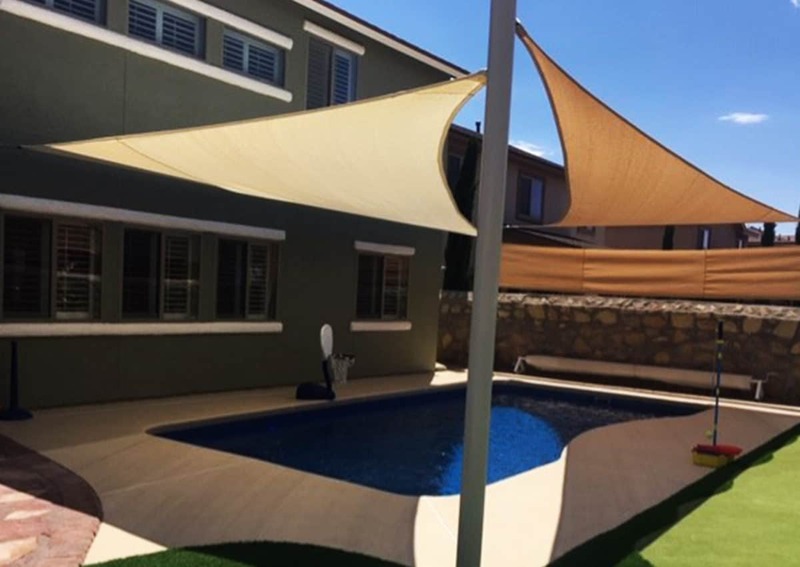 When sun protection is needed, our ‘Sail’ shade structures are a clever way to cover those odd-shaped areas where possible post locations are limited or where a unique aesthetic appearance is desired. Featuring our ingenious One-Point ‘Sail’ fastening system that includes stainless steel connections, cables, and hardware for long life, Sails are tensioned shade canopies which are pre-engineered in an endless variety of imaginative configurations to add visual interest to your play structure’s skyline, while protecting children from the sun’s dangerous u.v. rays with up to 99% sun screening. They are equally attractive and functional for shade cover over spectator seating areas, picnic courts, outdoor amphitheaters, sports fields, concessions, or any other outdoor gathering area where protection is needed from the sun’s harmful U.V. rays for children and adults. fabric shade structures feature our remarkable shade fabric in a variety of durable colors, and our ‘Sail’ shade designs can be configured in a virtually endless array of shapes and sizes to accommodate any public space where shade is needed. Available with electrical accommodations for beautiful fabric Sail shade structures with night lighting! For the best sun protection products, choose our extensive line of fabric shade structures, umbrellas, tents, canopies, and sun shelters to cover playgrounds, bleachers, dugouts, sports fields, pool areas, waterplay and waterpark areas, concessions, and other outdoor spaces where protection is needed from the sun’s harmful U.V. rays.